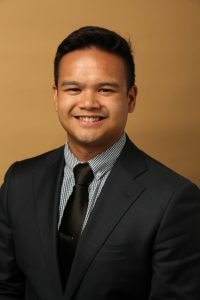 Rexly “Rex” Penaflorida III went to the University of Illinois at Urbana-Champaign for his bachelor of arts in political science. While there, Rex chaired several philanthropic organizations such as the Humanitarian Association for the Displaced, New Americans Initiative, and the Philippine Student Association. His senior year was spent working for the Illinois General Assembly as a legislative aide. Rex spent his 1L summer as an intern for the Associate Corporate Counsel’s Summer Diversity Program. Rex was placed with Illinois Tool Work’s, a global manufacturing conglomerate. Rex is interested in practicing corporate law, specializing in mergers & acquisitions and corporate governance. Rex enjoys sushi, biking, and hiking.